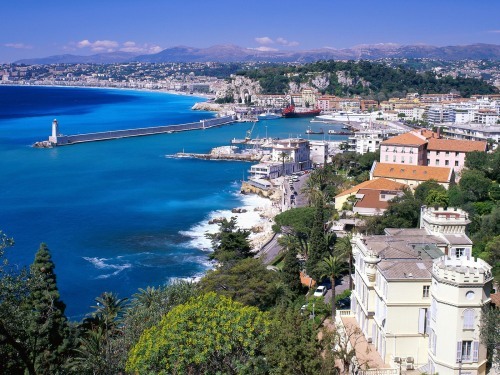 Even though the insane prices that were available from Vancouver to all over Europe on KLM, Air France, and Air Canada are now gone, there are still some very good prices on British Airways to France and Italy in the $600s. One interesting thing about the British Airways price drops is that they are available for May and June 2017 travel. 1. Try a Google Flights search to look for the cheapest dates. 2. You can try selecting the flights on Google Flights and then click through to the American Airlines website to book (even though the flights are operated by British Airways). Or you can try searching for the same dates on FlightNetwork or FlightHub and book through there. ... you can book flights through FlightHub using dates up to about the third week of June 2017 and still find prices in the $600s roundtrip. Even flights over the May long holiday 2017 (May 22) are available in the $600s. 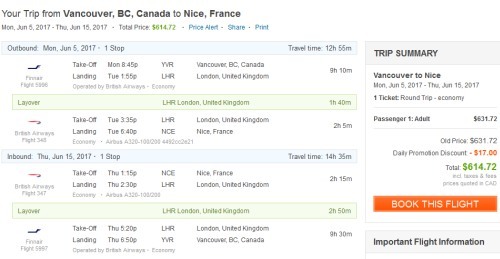 vancouver, yvr, flight deals, europe, central europe, western europe, southern europe, amsterdam, ams, netherlands, venice, italy, vce, rome, fco, paris, france, cdg, nice, nce, milan, british airways, bordeaux, bod, bologna, blq, toulouse, tls, lyon, lys and mxp.